When setting up a limited company all directors must provide their ‘usual residential address’. This does not have to be a UK address. As the name suggests it is the address where you usually live. If this is the only address that you provide for the company director then this is what will be listed on the government website and on your publicly available company documents. In addition to the usual residential address the Companies Act provides that a director may specify a ‘director’s service address’ to be entered on the public record. This acts as a correspondence address to which any notices can be sent to the director. This has the effect of hiding the residential address as it is the service address that will be used on the government website and company documents. 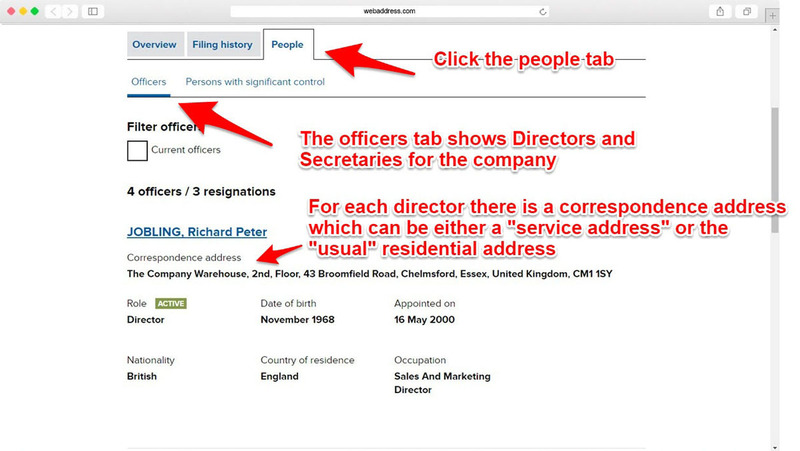 This record shows the director details for Third Party Formations Ltd on the Companies House website. It shows that a director’s service address is being used. 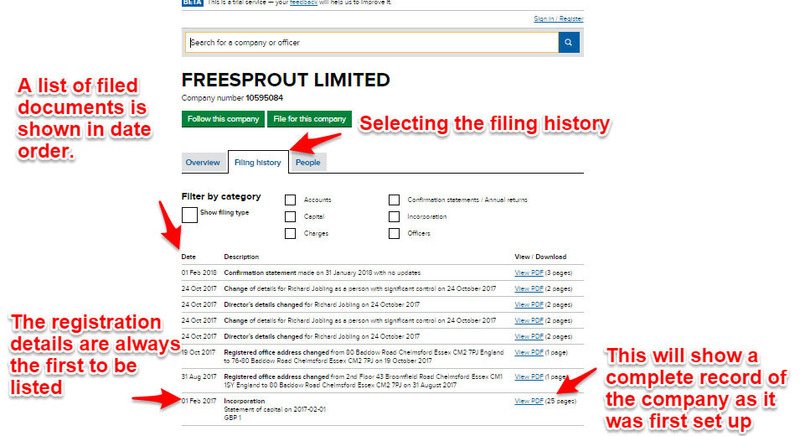 This record shows the filing history for Freesprout Limited. 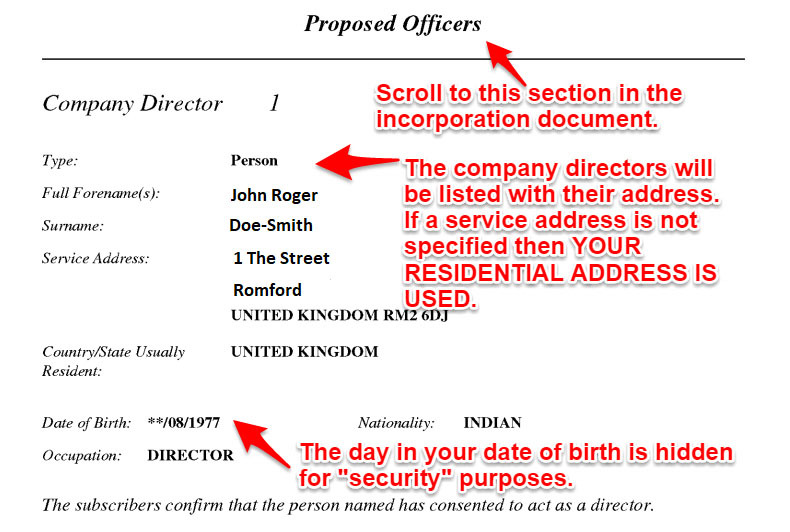 If you want to hide your residential address then this has to be done when the company is first being setup. If you do not specify a director’s service address your usual residential address will appear on the public record as the correspondence address. If you change a company after incorporation to use a director’ service address the usual residential address will still be available on the original incorporation documents. It is possible to get an exemption where you can completely hide any addresses from public view but this is rare. Normally this is only allowed for people involved in animal research or other highly controversial businesses where their home might be targeted by protestors. Exemptions can also be gained for businesses which handle large sums of cash and for people in the entertainment industry. By looking at the original incorporation documents which can be found on the government website we can see that the director’s originally used a residential address before switching to a service address.